Do you love your wood burning fireplace but hate having to get it professionally cleaned? Homeowners that have wood burning fireplaces often love enjoying wood fires throughout the autumn and winter but hate the dangerous buildup of creosote that comes along with wood fires. Many homeowners wonder if the chimney sweep logs or creosote sweeping logs really work to clean out fireplace flues and get rid of creosote residue so that the fireplaces are safe to use. The short answer is no, they don’t work. At least, not well enough to completely clean out the flue the way it should be cleaned. Chimney sweep logs or creosote sweeping logs are supposed to loosen up that thick layer of grungy creosote that is left behind after a wood fire. It turns it into a flaky and easy to clean layer that can be just scraped off so that homeowners don’t have to spend hours trying to pry the thick creosote residue out of the fireplace flue. This sounds too good to be true for many homeowners, and in some ways it is. The chimney sweep log is not a miracle cure that will give you a sparkling clean and safe fireplace flue. It will not replace a professional cleaning by a trained chimney sweep and it certainly isn’t enough to make your fireplace flue as clean as it should be for safe use. Though, it does actually help make the chimney sweep’s job a lot easier. So if you want to use a chimney sweep log, it will cut down on the work that a chimney sweep needs to do, potentially saving you some money. Ultimately, you still need to have a professional chimney sweep come out and clean your fireplace before you use it, especially if you’re planning on using it as a frequent source of heat during the fall and winter seasons. Even though the chimney sweep log will make the job easier, it isn’t enough. A log cannot replace everything that a certified and trained chimney sweep does. An experienced chimney sweep does much more than just clean out your fireplace and the fireplace flue. 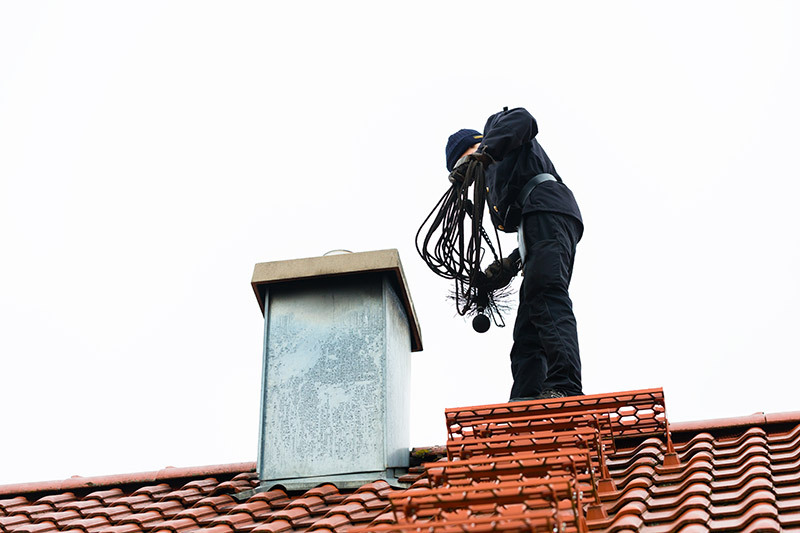 An experienced and well-trained chimney sweep is also inspecting every inch of your fireplace for any cracks, chips, problems, or weaknesses within the actual fireplace or parts of the flue. The chimney sweep will alert you of the problem so that you can get the chimney fixed before using it. If you’re planning on using your fireplace often during the fall and winter, especially as a primary source of heat, you need to be sure that your fireplace and flue are in good working order and are safe to use. Only a trained chimney sweep can tell you for sure if your fireplace is safe and ready to be used. You may have had a chimney fire in the past and may not have even known about it. According to the Chimney Safety Institute of America, it’s possible that you could have had a chimney fire and not even realized it. Chimney fires, most often caused by a dirty flue, don’t get the oxygen needed to burn explosively like a house fire. Though they do happen and they often go undetected. They slow burn above, while the main fire burns in the fireplace. So you may not even know that while you are enjoying a pretty and warm wood fire there is another fire, a chimney fire, that is burning too. Chimney fires can destroy the integrity of the fireplace flue and cause major instability and damage that you don’t even know about. That’s why you need to get an inspection by an experienced chimney sweep at least once a year to ensure that your fireplace flue is structurally sound and isn’t going to compromise the safety of the fireplace. 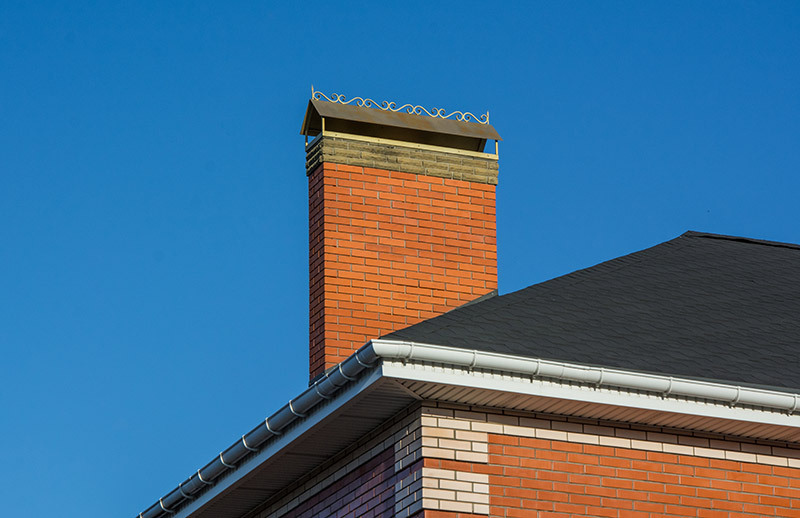 If you had a chimney fire and you weren’t aware of it at the time, there may be some visible signs of a chimney fire left behind. This will alert you that you did have a chimney fire that you didn’t know about back then. You can check for these signs yourself if you want to know if you had a chimney fire, but a trained chimney sweep will also look for these signs throughout your fireplace and flue. Taking these steps will make sure that your fireplace has not been compromised and that it’s operating the way that it should. If a chimney sweep noticed any of these types of damages they will tell you so that you can be sure that any damage has been repaired before you use the fireplace again. When you get an inspection from a highly skilled chimney sweep you will have peace of mind knowing that your fireplace is now safe and damage free, able to withstand the use of the fireplace. The chimney sweep logs do help make that layer of creosote easier to clean up. Although they don’t get rid of that layer entirely it’s essential to have the flue cleaned out properly by an expert after burning the chimney sweep log. If you only use the chimney sweep log the flue might look cleaner and you might be able to scrape out some of the creosote left behind but you won’t be able to clean out the entire flue. Leaving any of the creosote residues in the flue could cause a fire later on. Don’t take chances when it comes to fireplace safety. Always get an inspection and a full cleaning from an experienced chimney sweep to make sure that your fireplace is safe and ready to use. House fires are often caused by dirty fireplaces that homeowners thought were clean. Don’t take chances when it comes to the safety of your home and your family. Use a chimney sweeping log if you want to make the cleaning and inspection easier for the chimney sweep but always hire a well trained and experienced chimney sweep to clean and inspect your fireplace and flue before you start using your chimney. That’s the best way to keep your family safe from damage or problems that could cause a house fire. When it comes to professional chimney sweeping and inspecting, Early Times is the most trusted company in Chicago and suburbs. One of the biggest safety concerns is fires caused by creosote. Although chimney sweep log does the work, it’s not as effective as a professional chimney sweep and inspection. Get a free quote and speak to a specialist today.